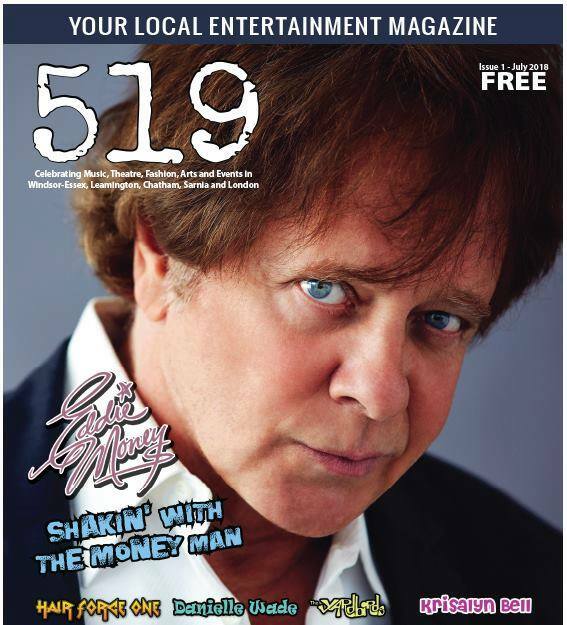 CHEEKY MONKEY NOW HAS 519 ENTERTAINMENT MAGAZINE FREE to pick up and enjoy! This free monthly publication is the only entertainment magazine in the Detroit/Windsor area, with 25,000 printed copies available at select locations from Detroit to London. 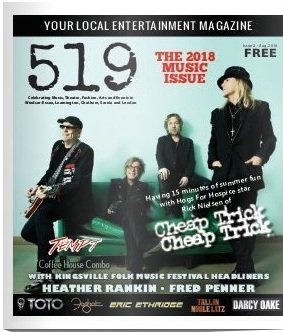 Next issue will feature stories and interviews with Cheap Trick, Heather Rankin, Toto, Fred Penner and Sarnia’s own Eric Ethridge.